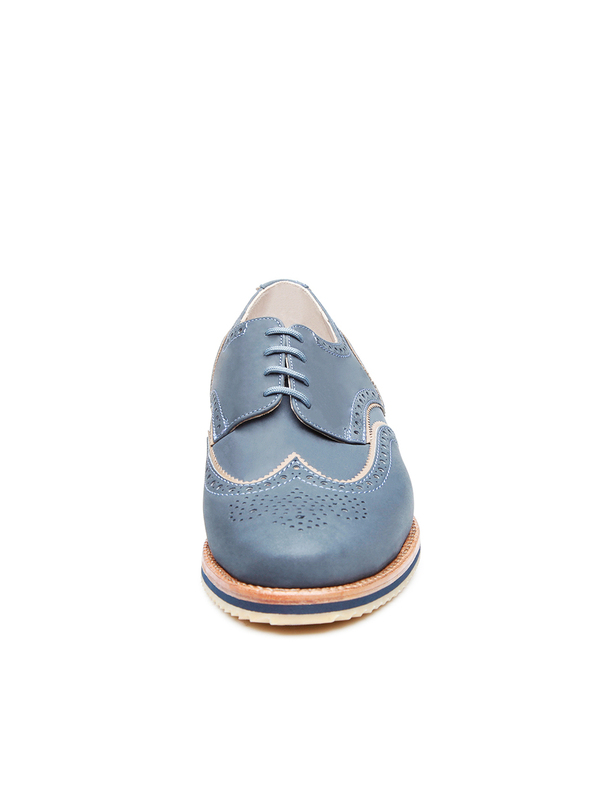 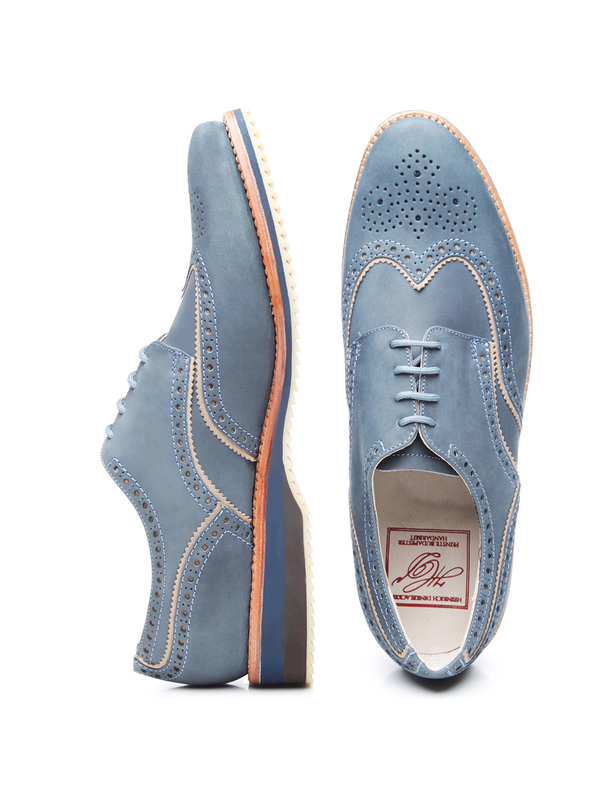 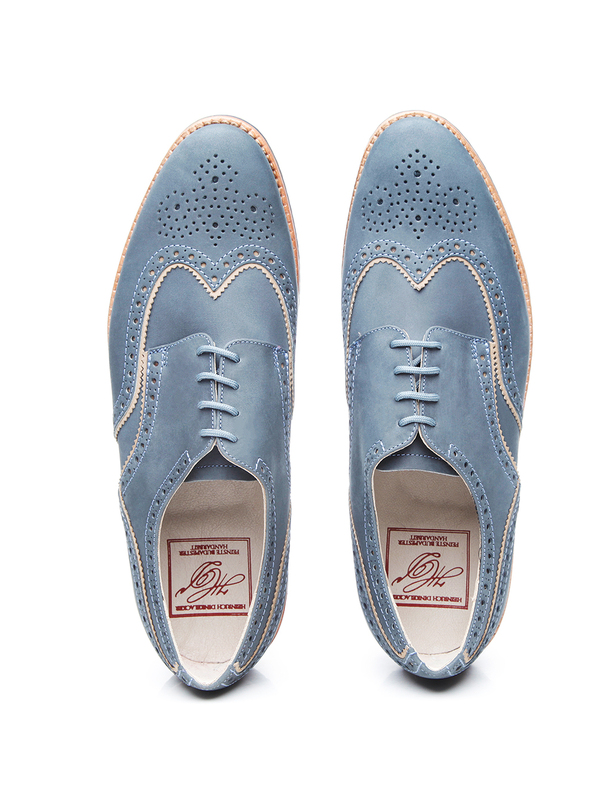 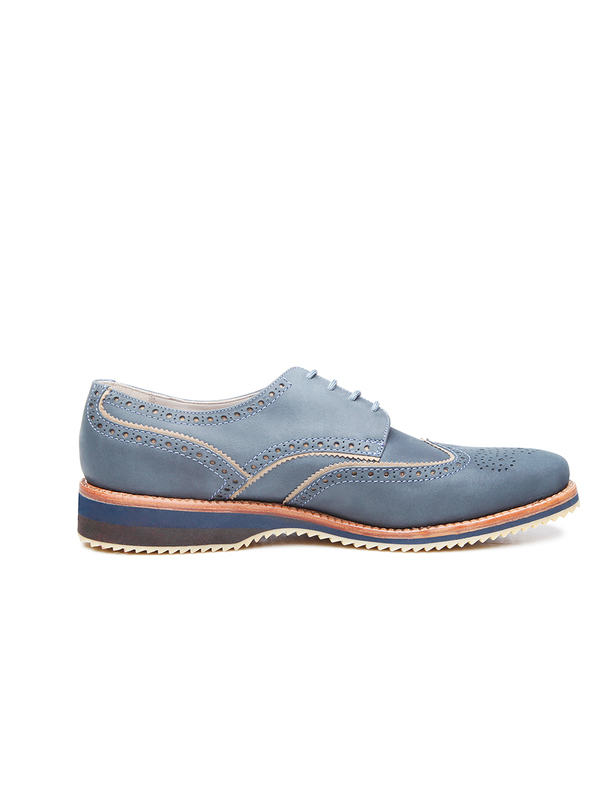 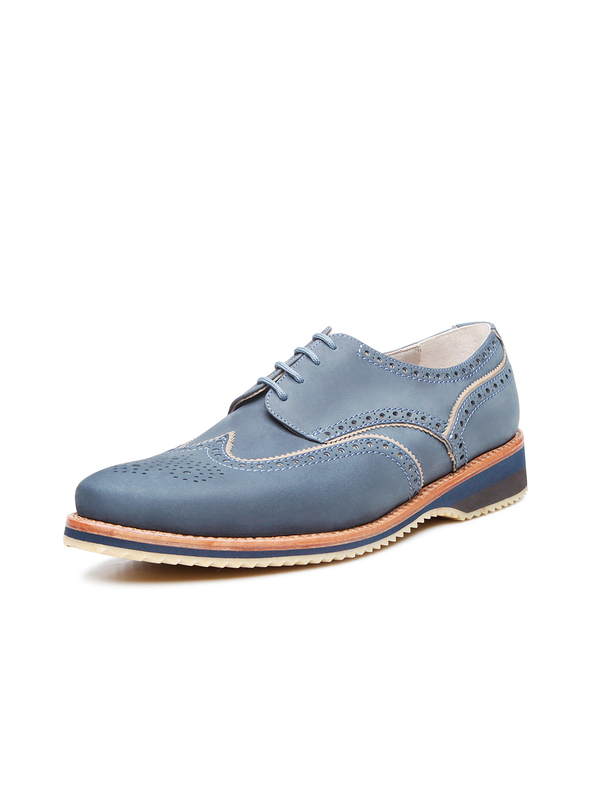 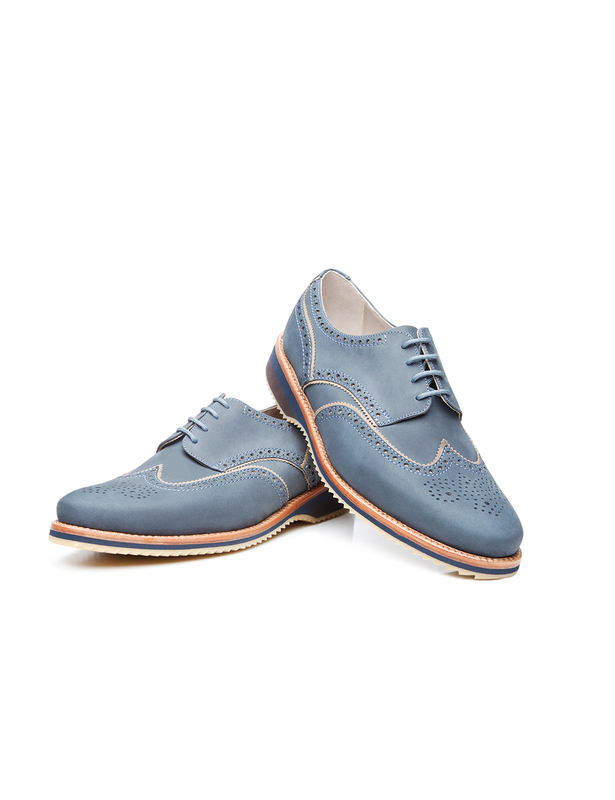 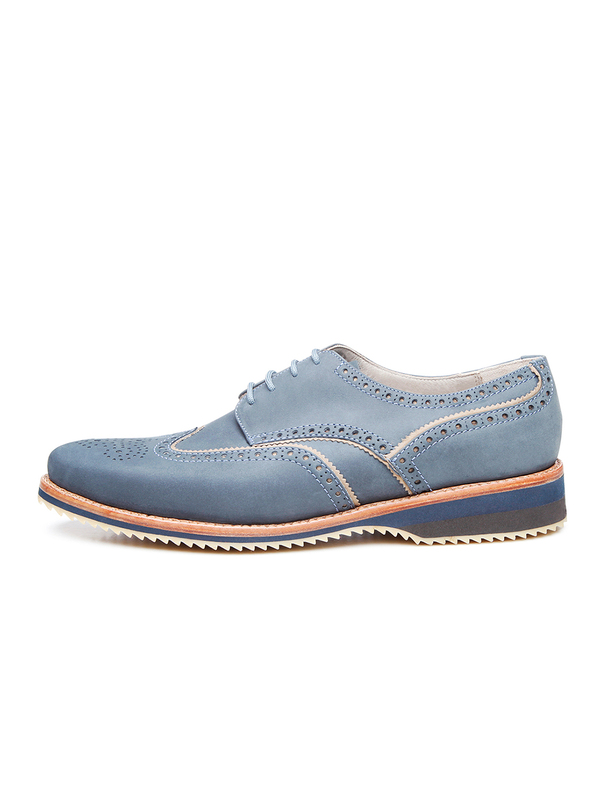 Modern design meets open four-eyelet lacing and premium materials in this sewn-welted, handcrafted full-brogue Derby. 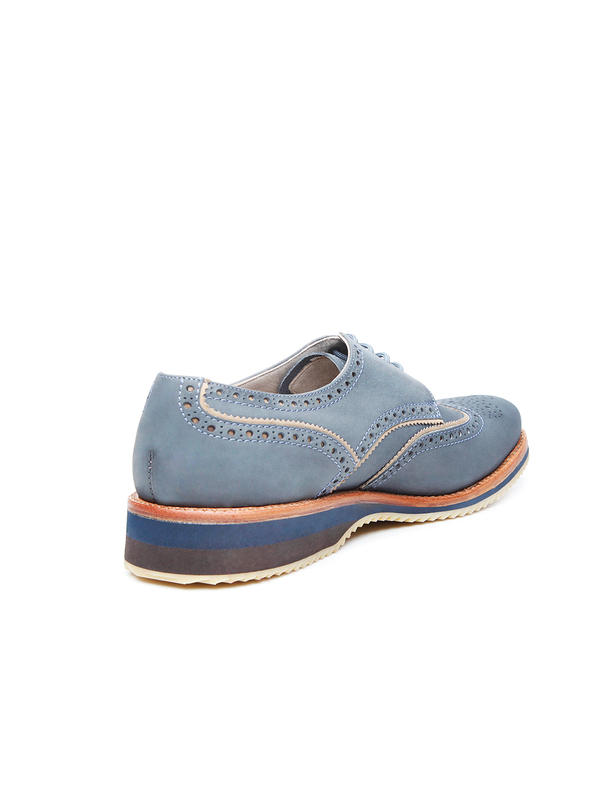 Its upper is made from denim-coloured nubuck that has been treated to repel water. 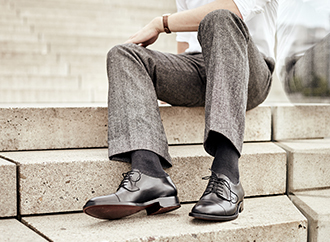 Thanks to its high fat content, this type of material is highly resistant to soiling and moisture damage, and develops a sporty patina over time. 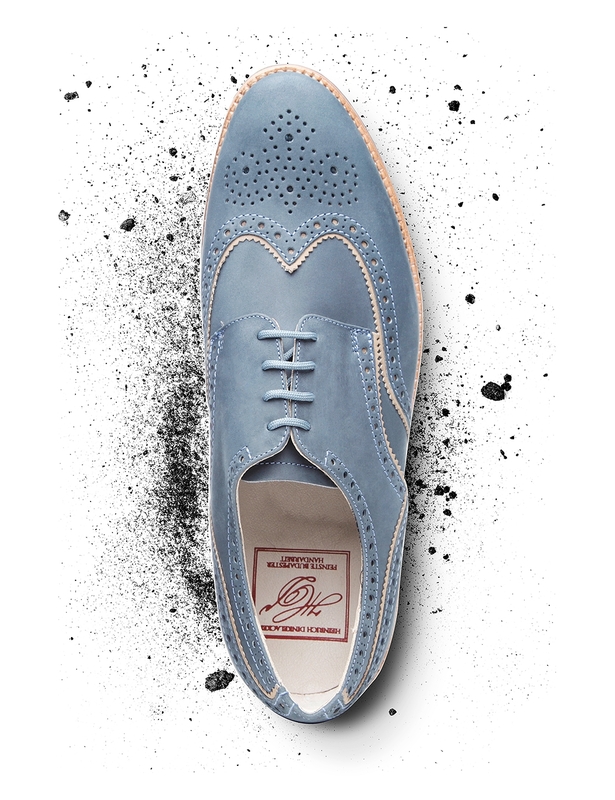 The edges of the shaft pieces are adorned with opulent Lyra perforation. 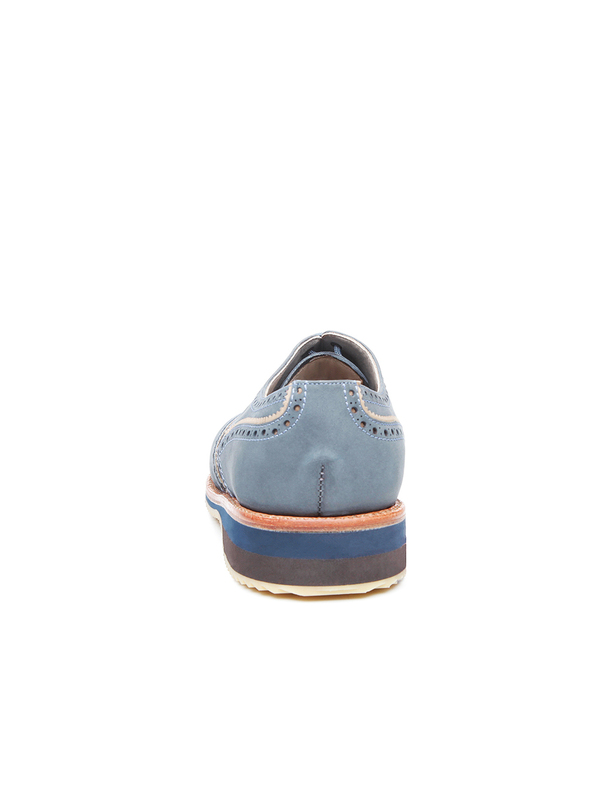 Together with the multi-coloured wedge sole, they lend the shoe a stylish, elegant appeal. 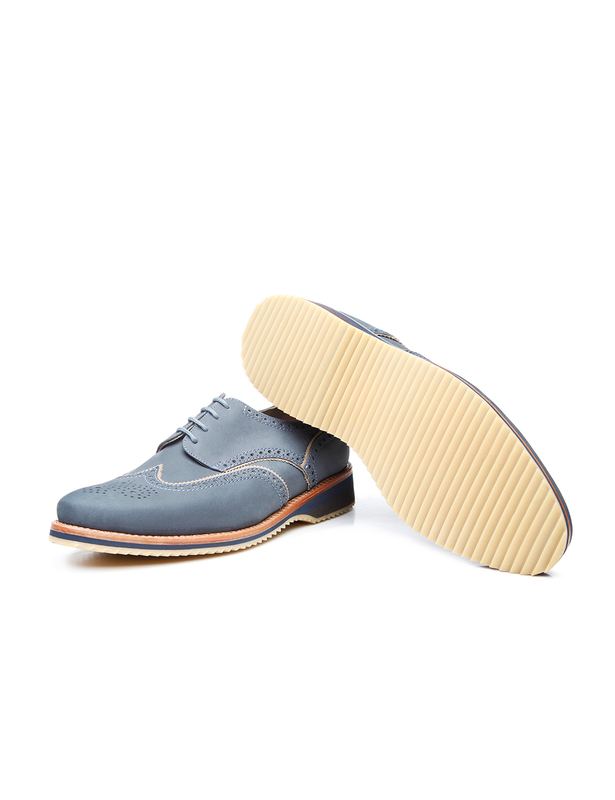 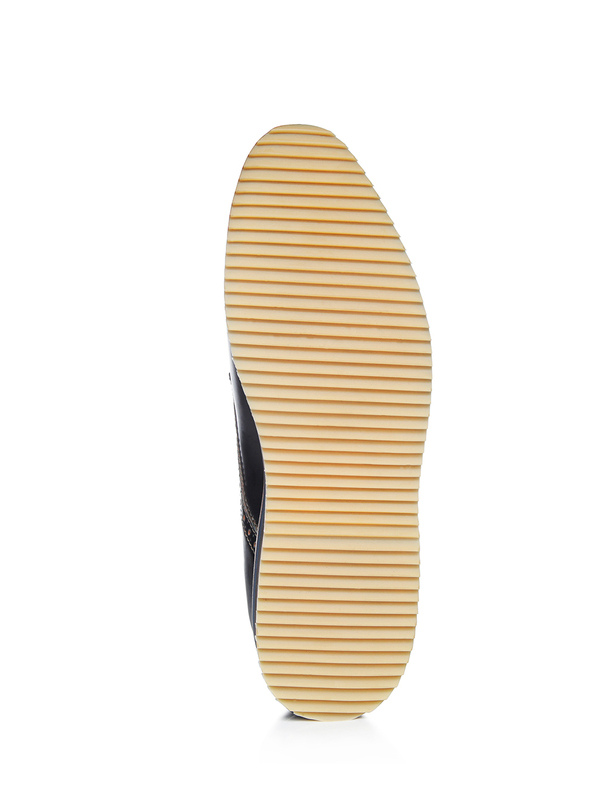 The gently tapering Campus last around which the shoe has been assembled is particularly roomy in the toes, and is well-suited for average-width feet.